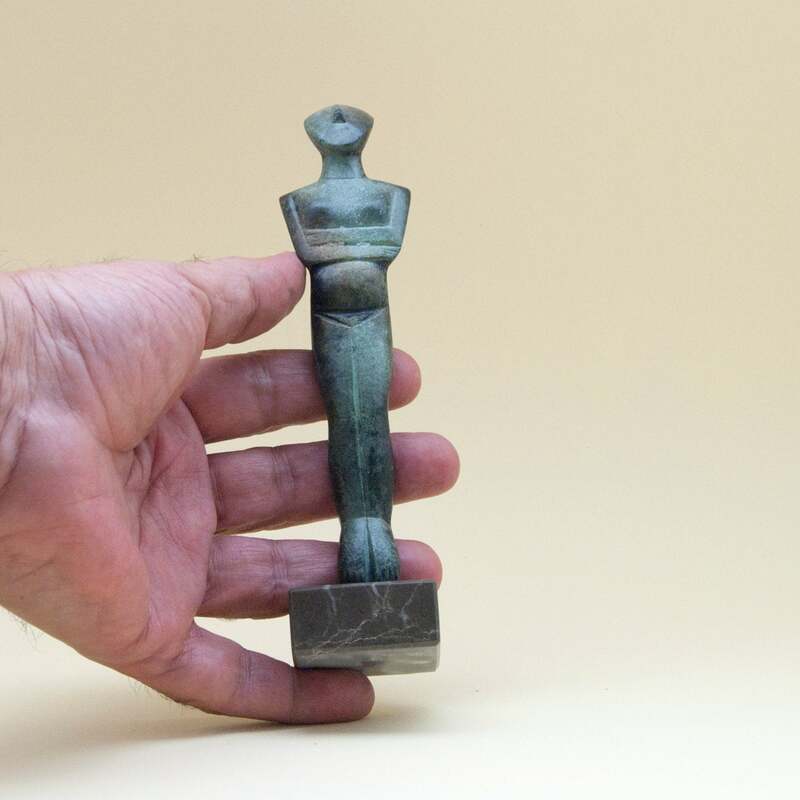 Greek Cycladic Bronze Figurine, Metal Sculpture Abstract Art, Greek Statue, Museum Replica, Minimalist Cycladic Art, Home Decor. 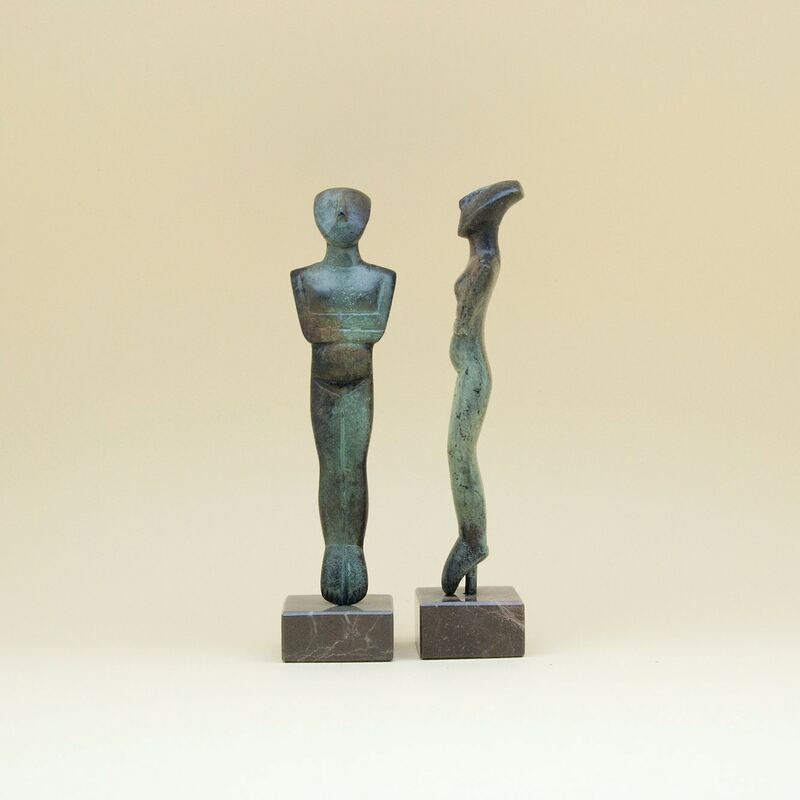 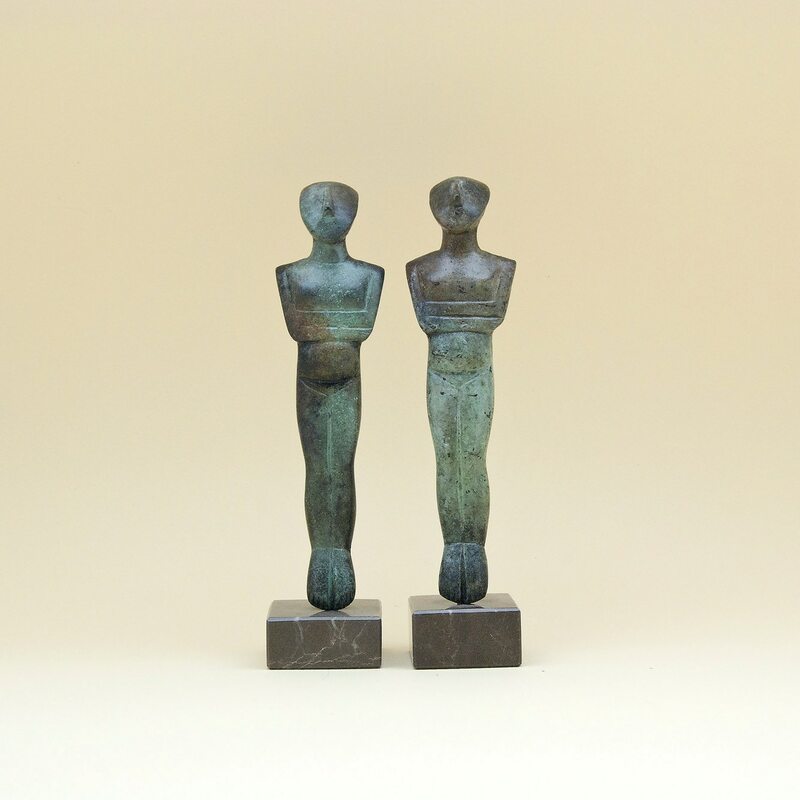 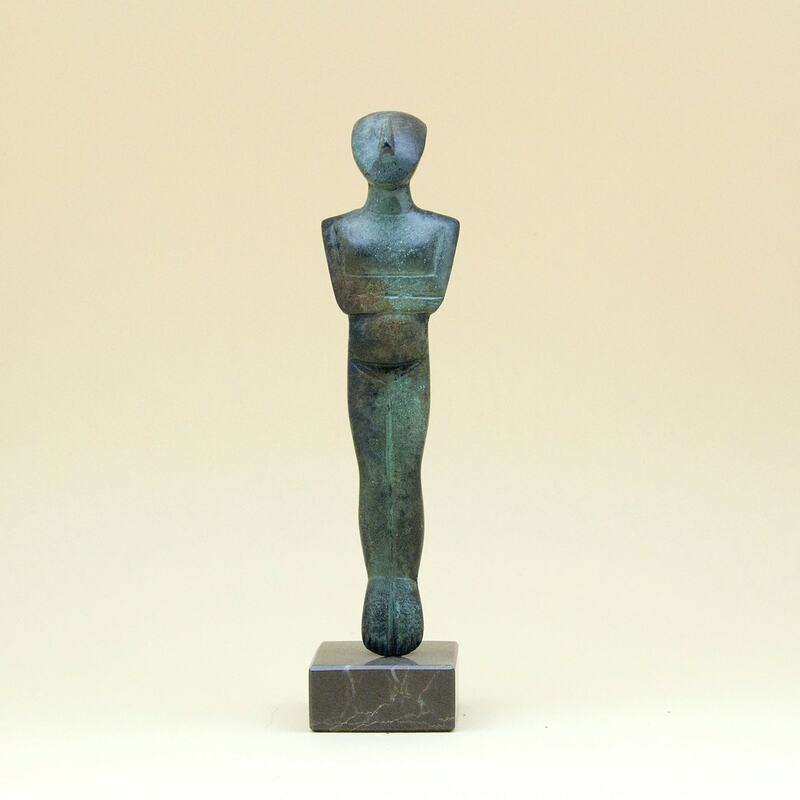 Abstract Cycladic figurine statue cast in bronze with verdigris, patina, mounted on black Greek marble base. 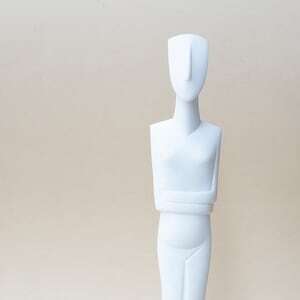 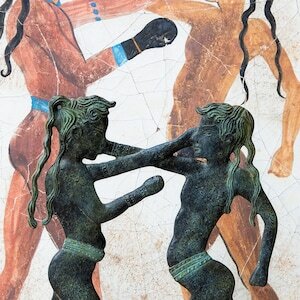 Cycladic figurines are worldwide famous for their strict geometric structure, harmonious proportions and, quality virtues. 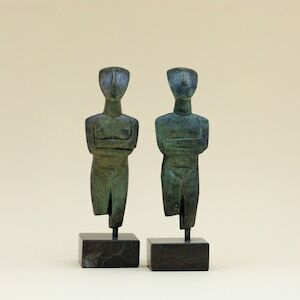 Cycladic Art was a source of inspiration for important twentieth-century artists such as Brancusi, handmade, Giacometti, MooreModiglianiand Hepworth and established as one of the most distinctive forms of western artistic expression. 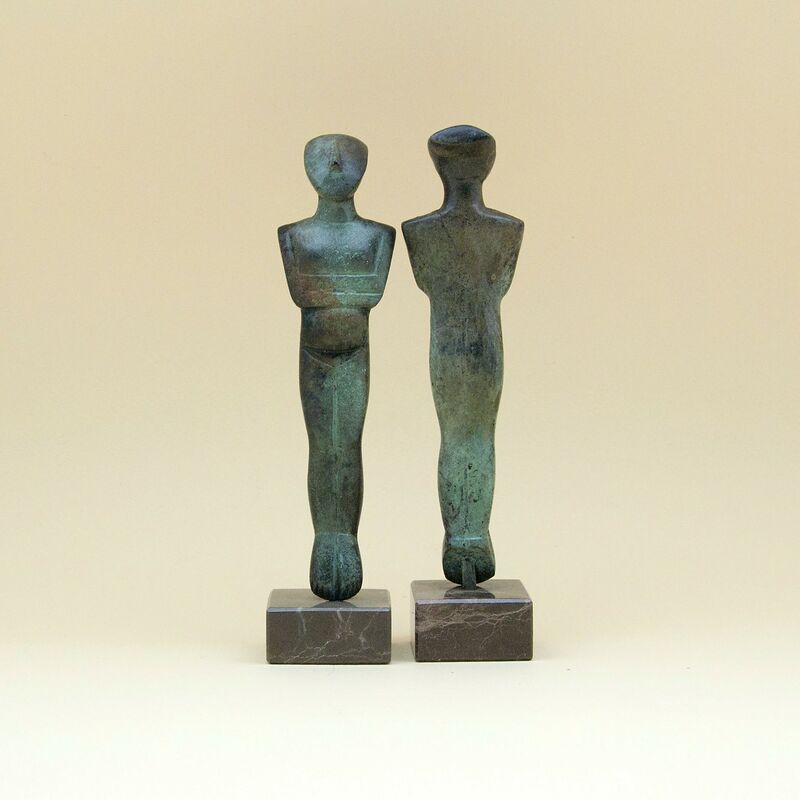 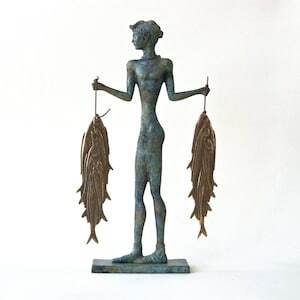 As this item is by, measurements, surface texture, verdigris patina, and marble color may vary slightly.